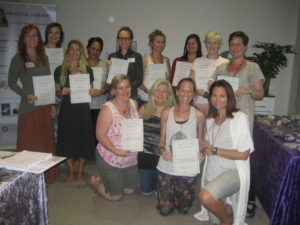 The Crystal Healing and Metaphysics course and the Reiki workshops are designed to provide participants with the revolutionary knowledge, skills, and techniques necessary to effectively create transformation and life-changing effects for the benefit of all; catering for people from all walks of life and all levels of experience. Testimonial: Jacqui has created a living body of essential knowledge that will support anyone interested in their own self-development and in serving humanity and all of life. She is also a very precious woman with integrity, intelligence and wisdom and a joy to study with and a peaceful warrior in her own right. It’s been an honour! Thank you so much Jacqui!! Holistic Harmony has made the Reiki workshops and Crystal Healing and Metaphysics courses affordable so that everyone is able to participate and able to pursue their calling, whether it is for personal growth and development, or whether they wish to become a practitioner or professional healer. Holistic Harmony has been recognised as a PLATINUM TRAINING PROVIDER by the IICT (International Institute of Complementary Therapists) for outstanding quality courses and professionalism; to include exceptional training, extensive manuals and handouts, expansive course criteria and on-going support. "We take pride in teaching and guiding people, not only in metaphysical studies, but we also encourage a philosophical approach to life and to help people rise above mainstream thinking; thus enabling individuals to become more empowered and in control of their lives through heart-based living"
Founder, Jacqueline Travis, holds a Bachelors Degree in Metaphysical Science, a Diploma in Crystal Healing, Reiki Master/Teacher, Holistic and Spiritual Counsellor, NLP Practitioner and Certified Life Coach, and Metaphysical Teacher & Trainer.